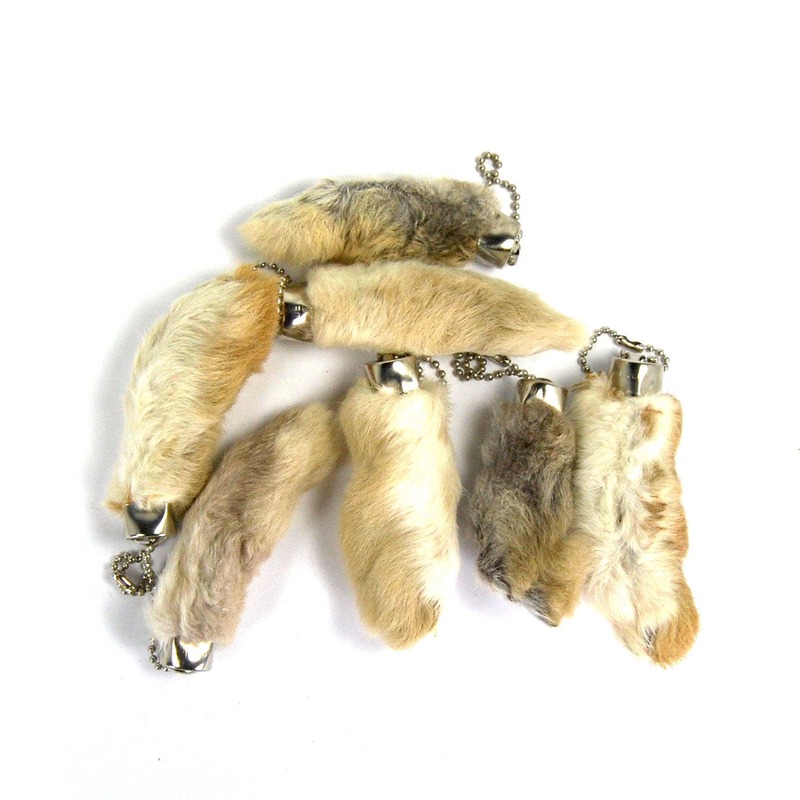 For your consideration are these naturally colored lucky rabbit's foot keychains. They measure approximately 3 inches long. You will receive ONE randomly picked foot that may vary slightly from the photo.